The Turkish coffee pot is one of the oldest coffee-making methods, appearing for the first time in the 16th century. Turkish-style coffee requires an extremely fine grind: finer than espresso. The Turkish coffee pot (also known as a Cezve) offers a coffee with a beautiful brown foam and plenty of body. 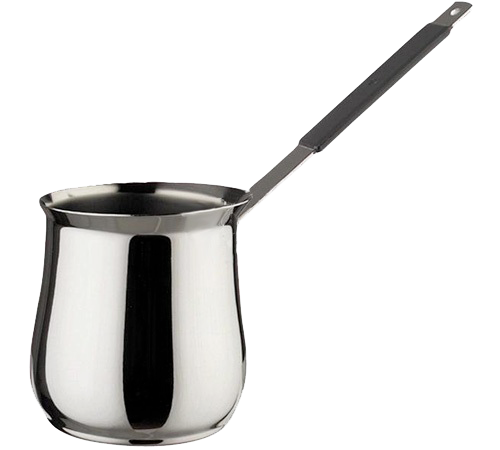 Discover our range of Turkish coffee pots made from stainless steel and compatible with all hobs, including induction, for an authentic eastern coffee. Authentic Turkish coffee maker (Cezve/Ibrik) with a 1 litre capacity (10 cups), made from 18/10 stainless steel, by the Ilsa brand. Coffee maker compatible with induction hobs. 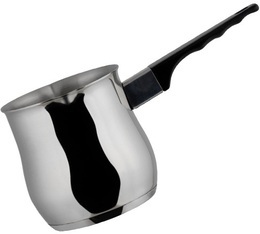 Authentic Turkish coffee maker with a 1.5 litre capacity (12 cups), made from 18/10 stainless steel, by the Ilsa brand. Compatible with all hobs except induction.